Japanese export ship orders increased by 26.5% year-on-year to 854,570t in October 2011, according to the Japan Ship Exporters’ Association.. In October, Japanese shipbuilders received orders for 21 ships: 20 bulk carriers and one general cargo vessel, comprising 398,120t. According to the reports, the October ship order increased 3.5 times over September. Between April 2011 and October 2011, Japanese export ship orders totalled 3,937,972t, a decrease of 48.2% compared with the same period in 2010. During this period, Japanese shipbuilders received orders for 107 export ships, comprising 100 bulk carriers, two marine resource research vessels and five general cargo vessels. 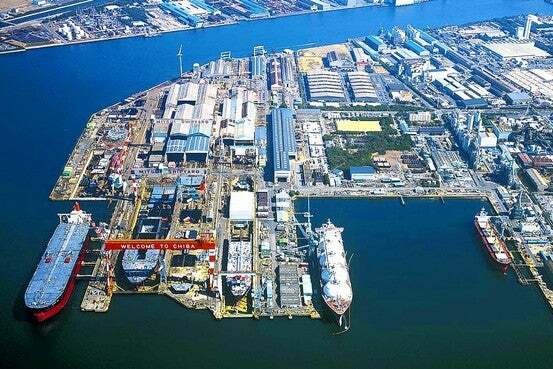 The Shipbuilders’ Association of Japan chairman Kazuaki Kama said that the current situation surrounding the Japanese shipbuilding industry remains difficult, largely because of the stronger yen. The country’s newbuilding orders between January and September 2011 dropped 30% to 2.82m CGT, compared with the 6.14m CGT it recorded during the corresponding period in 2010. During this period the Japanese shipbuilders placed orders for 151 ships. Ship delivery also declined by 5% to 285 vessels, comprising 13.12m CGT, compared with last year. During the third quarter of 2011, ship orders dropped by 70% to 1.07m CGT, while in September alone Japan won orders for nine ships of 240,000t – a drop of 77% compared with the same period last year. While in August 2011, orders dropped by 74.4% year-on-year to 346,300t. In August, shipbuilders received orders for nine ships – five handymax bulk carriers, three panamax bulk carriers and one capsize bulker, all of which are bulk carriers comprising 158,613 CGT. Between January and August 2011, Japanese shipbuilders received orders for 142 ships – 131 bulk carriers, five tankers, two marine resource research vessels and four general cargo vessels.